Playfully Earl 'Chinna' Smith's guitar and Shane Greensword's piano tempt each other, capturing the entire panorama, gently filling the room with their notes before the drum roll kicks in. The deep, round bass played by Andrew Campbell pushes the riddim forward, a diverse instrumental driven by the charismatic guitar chords, percussion effects and the sweet, mellow highlights of the keyboard. 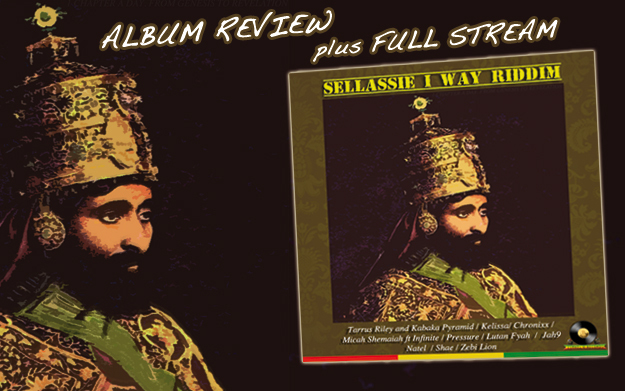 Together the various musical elements form Sellassie I Way, a roots riddim, a strong and rich beat. The sound is authentic, grounded yet ear-tickling. Just like the place of its origin: Vineyard Town in the East of Jamaica's capital Kingston. It is not a fancy place, it has a character, offers the romance of a dusty road leading by a wildly blooming flowerbed, barely controlled by some squiggled, rusty fence. Settled between uptown and downtown, the lush green hill of Long Mountain and the cold concrete of the Jamaican Defence Force lie Eden Gardens, Franklyn Town, Rollington Town, and off Deanery Road the infamous Grafton Studios. Veteran producer Mikey Bennett's place offers rehearsal and recording rooms, a bench under a tree, a table to play dominoes. It is where vibes manifest into music, artists meet and exchange, and where Mikey's son T'Jean decided to follow the footsteps of his father and create his own musical legacy. Together with some of Jamaica's finest musicians such as the above as well as Kirk Bennett on drums and Kevon Webster to overdub the keyboard, he recorded Sellassie I Way right in the heart of this creative wonderland with the support of his father, and engineer Romel Marshall to operate the board and effects. More than three years ago the youngster T'Jean decided to follow the family tradition and branch out with his own musical works. 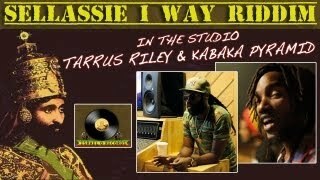 No wonder most of the artists featured on his riddim are those, you'd find at Grafton studios on a random day for rehearsal, recording, or to hold a vibe: Chronixx, Tarrus Riley, The Indiggnation's vocalist Shae Wright. And of course, if there is one lady to represent V-Town and its unique atmosphere it must be Jah9. Skillfully, yet with ease the latter, a delightful, aspiring vocalist flies over the backings during the intro before preaching the greatness of simplicity, living a life dedicated to the Most High, reflecting love, rejecting hate, the Divine Government. Also representing the strength of female artists is Kelissa. The innocence of her voice and the determination of her interpretation fuse to a strong delivery of the title track, caressed by the rich background chants. By Protoje's side the States and Europe already got to meet and hear Shae of The Indiggnation, now the full spotlight is exclusively on the talented singer to represent with her own single Give Love A Try. Smoothly her voice hits right into the heart. The sadness of a lost love, yearning, desire, the eventual achievement of a smile are greatly reflected within her interpretation of the instrumental. But not only strong women are highlighting the powerful selection. In combination crooner Tarrus Riley and tight spitting Kabaka Pyramid Fly Di Gate for the repatriation of the youths. With his charismatic and clear voice Micah Shemaiah adorns the riddim wailing about the Peoples Pain in support of guitarist and vocalist Infinite. “When was the last time you prayed?” asks Chronixx reminding the listener of appreciation and humility, while Lutan Fyah turns to the Most High, “when times get hard and ruff”, because Jah Na Sleep.